Rachel Reed went missing from her home in Salford late on 1 January 2015 and her body was found the next day, as reported by the Manchester Evening News here. Rachel Reed had very sadly taken her own life near to her home. 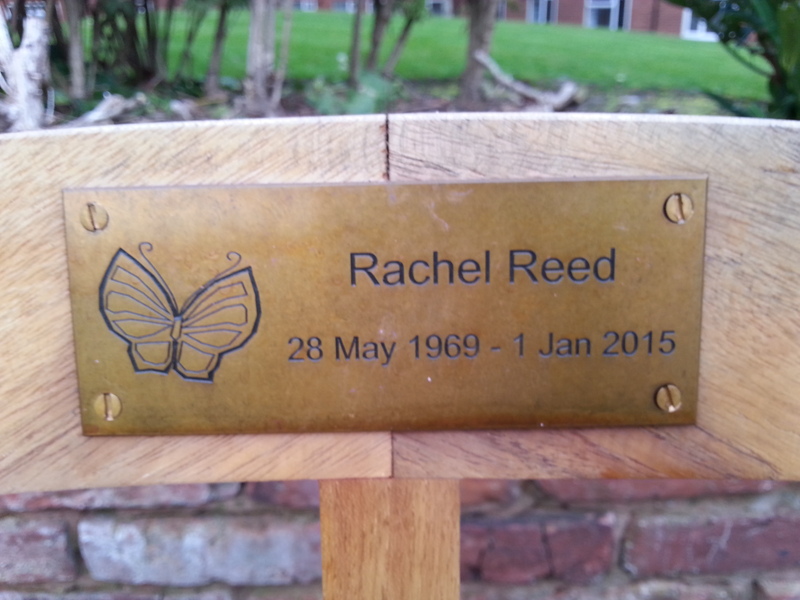 Her family erected a lovely memorial bench to remember Rachel’s short life, with her name, her dates of birth and death and a butterfly on the plaque. This generous gift to the area is very much appreciated. 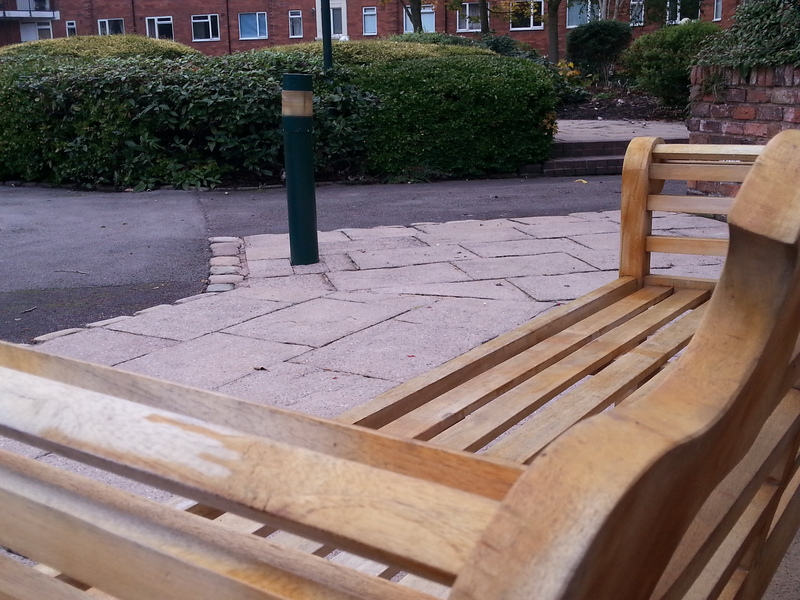 The bench has been well used by local residents over the summer months and lots of people who use it think briefly about Rachel while they sit and read, watch their children play, gossip with their neighbours or just enjoy the gardens.